Seaside resort, wildlife wilderness, fishing port and old world town, Wells is a must-see destination for anyone visiting North Norfolk. With amusement arcades, fish & chips, ice cream, crab fishing, beach sunbathing and swimming, it provides all the things that visitors want without having lost any of its picturesque historical character. Mentioned in Domesday Book, the town derives its name from the many clear spring wells, at one time over 180 of them, in the town. Early on it became both a fishing port, sending its small ships as far as Iceland, and a supplier of grain to London as long ago as the 1300s. 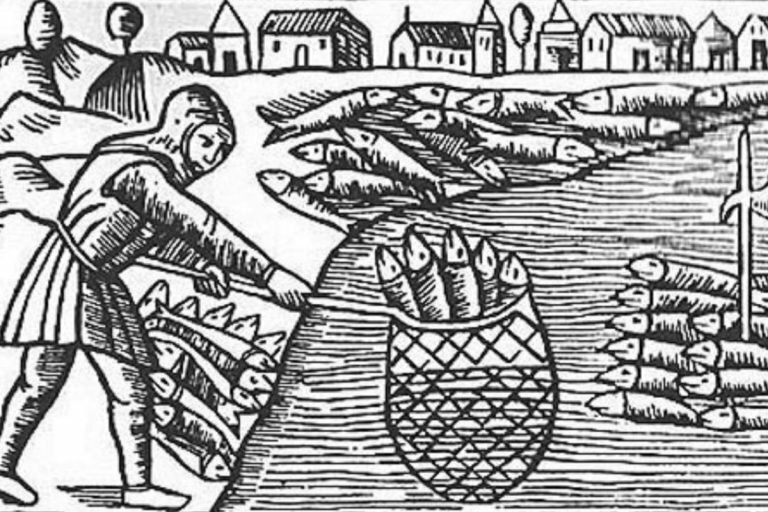 It was a major importer of coal in the 1500s supplying the miners of the north east in return with wheat for their bread and malt for their beer. One reason why it is has preserved its character is that it was until recent times a manufacturing town, once supplying huge quantities of malt to the Dutch and then latterly to London breweries. It was, in the eighteenth century, nationally important as a producer of malt. The iconic maltings and granaries, now turned to new uses make its working quay a fascinating place to visit. An impressive feature of the harbour is the large granary building with its distinctive overhanging gantry. Built in 1903, the granary has now been turned into luxury flats with magnificent views of the harbour. As a commercial port, Wells’ high point was in the 19th century when large wooden sailing vessels, some over 300 tons were built here, some 170 or so of them. 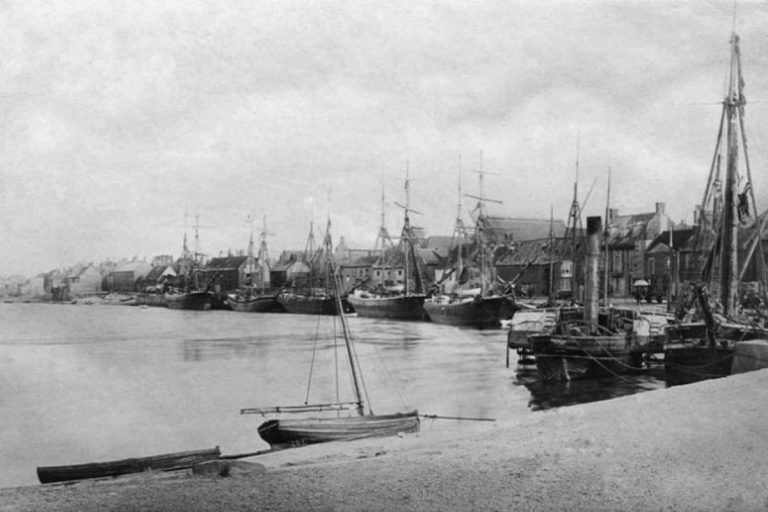 It was then that the stone quay was built. 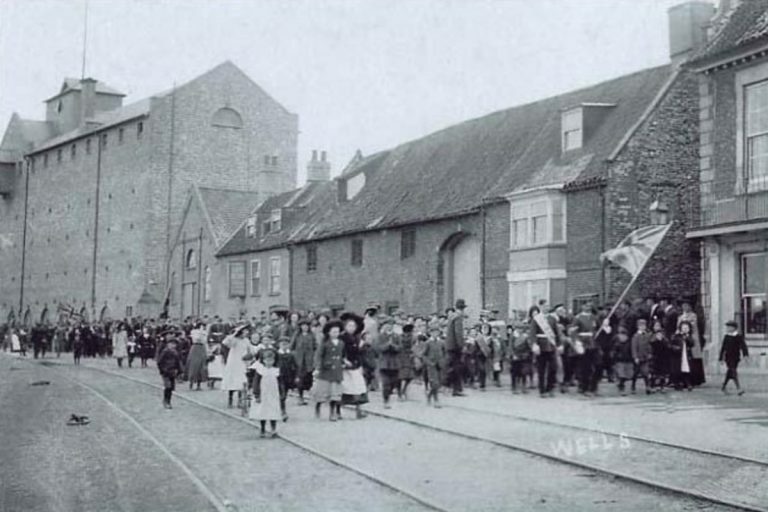 There were two shipyards in Wells, situated in the East End (where now only house names give away their location). Shipwrights were supplied with locally made ropes, spars, sails and iron work made by local blacksmiths. It was the arrival of the railway in 1857 that marked the beginning of the decline in the sea-going trade of Wells, though those who came to Wells fifty years ago would have seen a huge if short lived revival of commercial shipping. 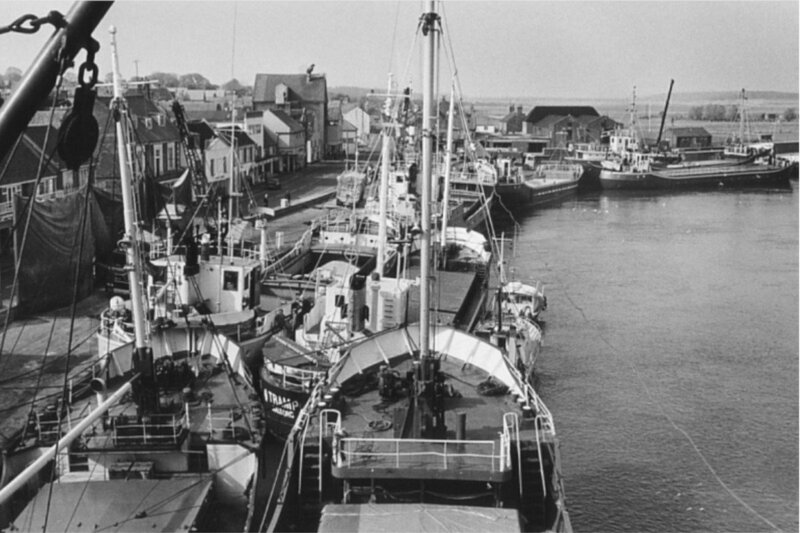 As many as eight cargo vessels, double banked would have been seen at the quayside in the 1970s and 80s having brought fertiliser and animal feed from abroad. Eventually vessels became too large to be accommodated and latterly only the Dutch sailing barge the Albatros continued the trade. One of the oldest sailing ships still afloat, she is now moored at Wells harbour, as a floating restaurant with an unrivalled view. Into the town from the quay, is the charming Staithe Street with its traditional shops, part of a delightful network of narrow streets, old alleys and yards. Some of the buildings in the town are hundreds of years old, including former coaching inns and public houses. Many are now listed buildings. At the top of the town, lies the Buttlands, a wide green space, fringed by lovely lime trees and surrounded by some impressive Georgian and Victorian houses. The Parish Church of St. Nicholas at the far end of the town was rebuilt on its present footprint about 1460, though what you see was lovingly rebuilt again after a fire in 1879 following a lightning strike. There has been a lifeboat at Wells for over a hundred and fifty years; the first RNLI lifeboat was stationed here in 1869. Its greatest test was in 1880, when it was launched to help the several vessels including the Ocean Queen. The conditions were appalling, and 11 of the 13 crew lost their lives after being hit by a huge wave. A memorial can be found by the Harbour Offices.